Recharge this innovative light bulb in your lamp or via solar panel or USB. 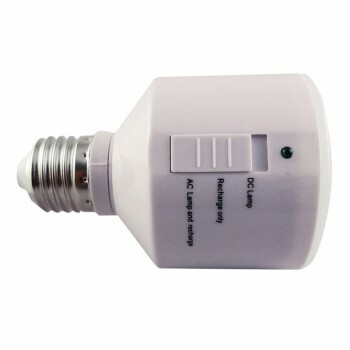 When the power goes out, this light bulb will stay on for hours in any of your standard lamps or light fixtures. It can also be held in your hand and used as a flashlight or lamp. It is the perfect light to have and you will never have to be worried about being prepared in a power outage ever again. 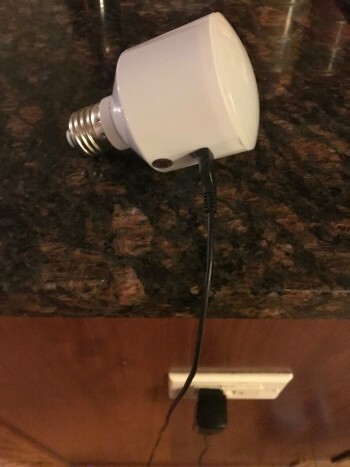 A light bulb that stays lit even after the power goes out. 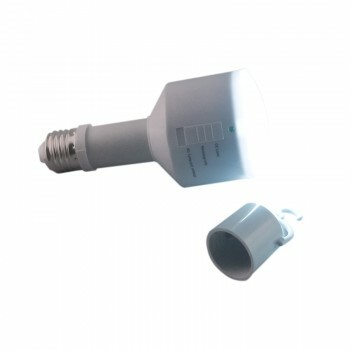 The Recharge-A-Bulb fits inside any standard light fixture or lamp and functions during normal times as your standard light bulb. When an emergency power outage strikes, simply switch the Recharge-A-Bulb on and your lamp will stay lit! 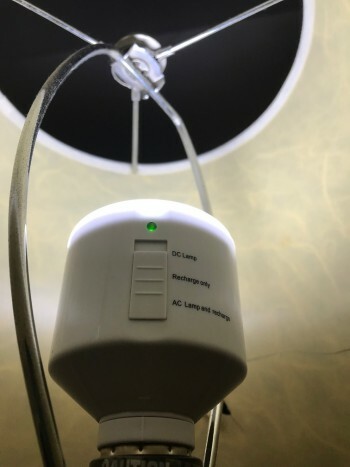 This life-saving light bulb contains a battery that regularly charges itself in the lamp fixture when the power is on. It can also be recharged by plugging it in to any standard electrical outlet. Need to recharge during an electrical outage? 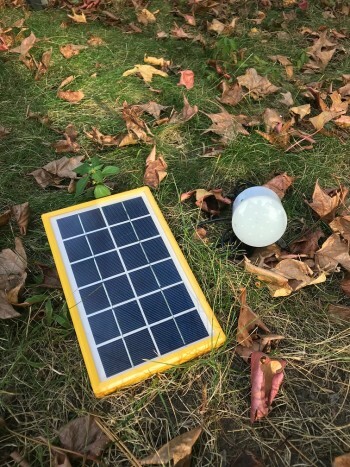 The Recharge-A-Bulb can also be recharged via solar panel. 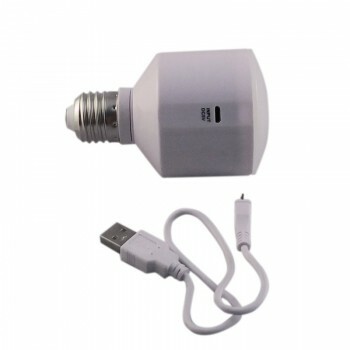 This innovative multifunctional LED light bulb can also be unscrewed from your light fixture, and used as a flashlight with built-in pull-out handle! It can also serve as a lamp with it's included hanging accessory. 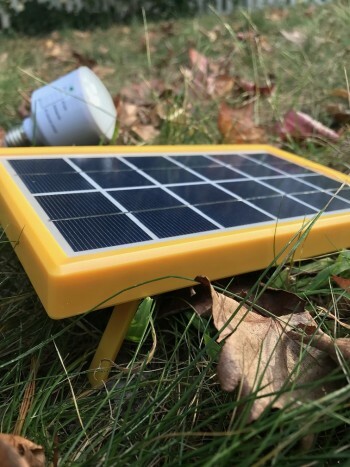 The Solaaron Recharge-A-Lamp will provide up to 8 hours of light in a power outage on a single charge. 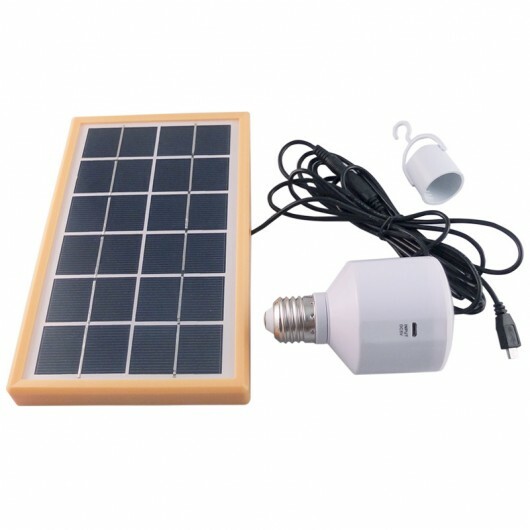 Perfect for homes without electrical grid access or intermittent power outages. No need to scramble for costly flashlights or candles in a blackout any longer. 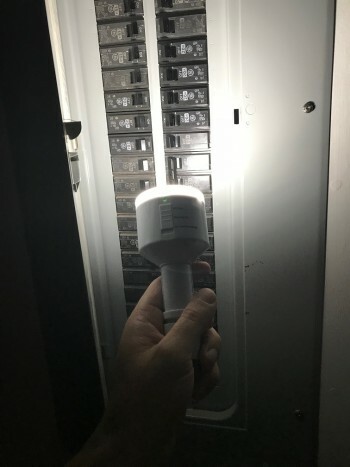 Replace all the important lamps and light fixtures in your home with the Solaaron Recharge-A-Bulb, and when the power goes out, your light does not! 4W LED technology makes for bright, long lasting and energy efficient light.